Have you tried a “Horseshoe” walk from Steyning? There are two excellent local trails: The Lower Horseshoe and the more challenging Upper Horseshoe. 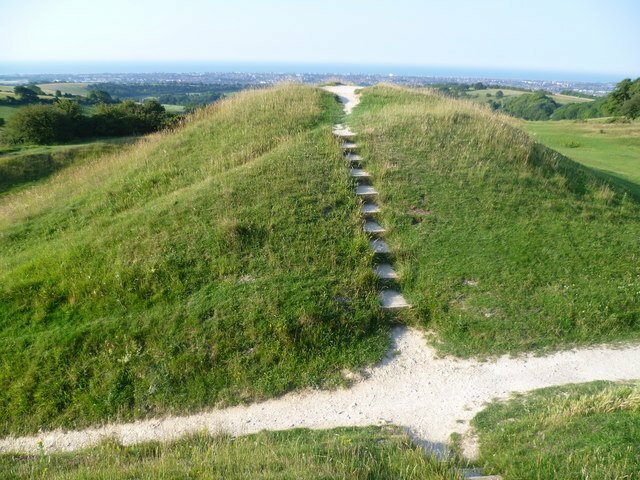 This climbs high into the South Downs and then follows the horseshoe shaped ridge before descending back into the town. Whilst it is a short walk, the climb is fairly strenuous so it is ideal for people who may be short of time but still want a challenge. The path follows chalk and clay paths which may be muddy after wet weather. There is a long and reasonably steep climb to reach the ridge and some sections of the descent are also a little steep. There are no stiles and just a few gates and kissing gates. Approximate time 1.5 hours. Bear left as you walk through the trees. When you leave the trees head along the footpath back down into the town. You will come into Newham Lane and later the High Street. If you would like a longer demanding walk I suggest walking to Chanctonbury (3 miles) or further to Cissbury (5 or 6 miles).